I was only able to appreciate learning about the history of a particular thing or a place when I already reach my maturity. Back in the days, I was the kid who would skip museums and would rather go to other recreational places. It bores me when my teacher talks about the past, about historical sites or even origins of particular places (I think we all are?). But nowadays it seem to be different, I already learn the importance of history in the society. It triggers my interest specially when hearing stories about artifacts, the origins and on understanding different cultures. In fact, when ever I visit a new place or country, I always make it a point to at least visit their National Museum, just to understand and learn more about them before thoroughly exploring the place. Unnoticeably, even in my plate sometimes, I question on to where the food came from, where was it sourced or even how a particular dish was created. Isn’t amazing to learn why the mangoes of Guimaras are so unique? Or understand the different taste structure of Durians in Davao? 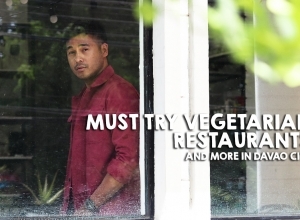 or simply why is it good to plant lettuces in Tagaytay? Well, we’ll find the answers to those questions really soon but for now, what I would like to share to you is on how this particular airlines manages to make passengers feel that farm-to-air dining experience. AirAsia is taking travelers on a new food adventure that is delightfully good for the heart and soul. 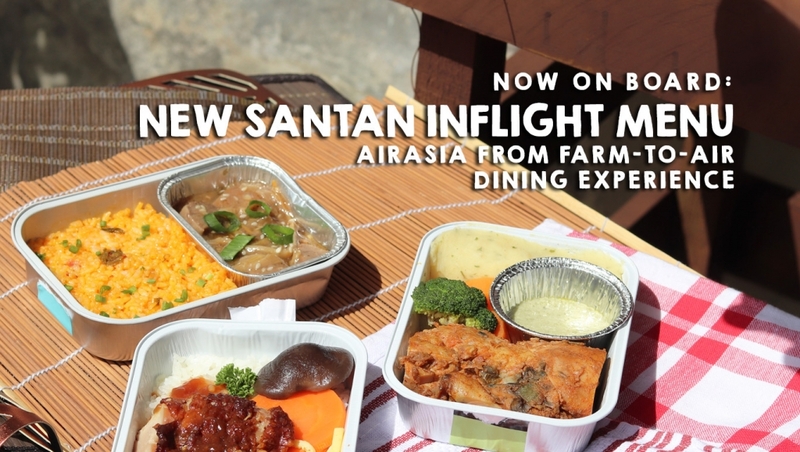 The airline which has been voted the World’s Best Low Cost Carrier for ten straight years today formally introduced, farm-to-air dining experience as part of its newest Santan inflight menu. One of which is the farm we visited. Here we were able to see the huge farmland with different greens and herbs planted. The packaging area where the greens are being sorted out for different clients needs are manned by locals in the town. From what I have seen, I can definitely say that they are really meticulous in everything from the planting up to the picking; the one of the reason I guess why AirAsia have chosen this particular brand. It was an amazing idea to show us how they sourced out some of the ingredients AirAsia is using for their Santan inflight menu. Being a person who is a regular passenger of the said airline, I was happy to learn about it, giving me the assurance that what am I about to eat in the flight is worth the money I’ve spent. 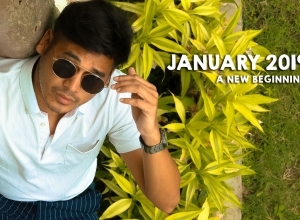 Along with the farm visit, a new set of items where also introduce and is already available at the Santan inflight menu as early as year 2019 started. 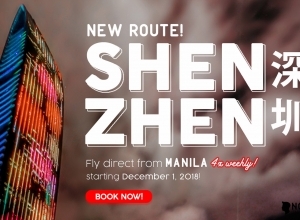 In partnership Discovery Country Suites Tagaytay, AirAsia is now offering Chipotle Chicken Wrap and Caesar Salad at P100 and P120, respectively on all AirAsia flights with Z2 code to and from the Philippines. AirAsia is taking the air dining experience a step further by introducing ‘Sunset Bursts‘, a two-layered strawberry and lychee drink with coconut jelly sinkers, which is a refreshing and healthier alternative to milk tea shakes and it comes in 16oz cup at P120 only. The delicious part here is watching the cabin crew prepare your drink while cruising at 30,000 feet above. Merchandise items by Filipino and social entrepreneurs from ASEAN countries such as Kahon Abaca Macrame Bag, travel accessories, up-cycled jewelry, bamboo toothbrush, metal straw and abaca bucket are also available for sale onboard starting from P180 only. And oh, by the way, set meals in AirAsia is Halal Certified. For those who’s not eating chicken or beef, Santan inflight Menu also offers a vegetarian meal. I cannot wait to fly again soon and try to experience this. 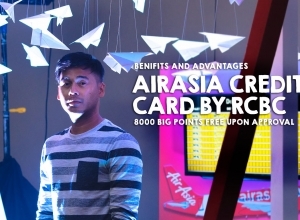 AirAsia Credit Card by RCBC gives 8000 Big Points ready for your free flights!